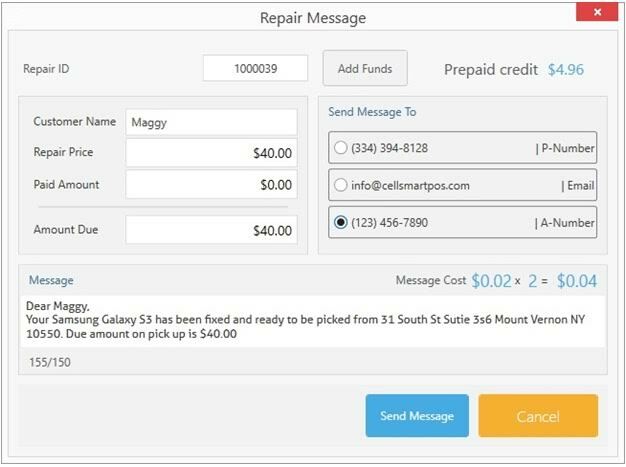 CellSmart POS recently came out with yet another nifty and amazing feature called “Repair Fixed Alert”. It’s always a great gesture to let your customers know that their repair item is fixed and they can come in and pick it up. Instead of calling each customer individually, you now have the ability to drop them a text message or email them to inform them. 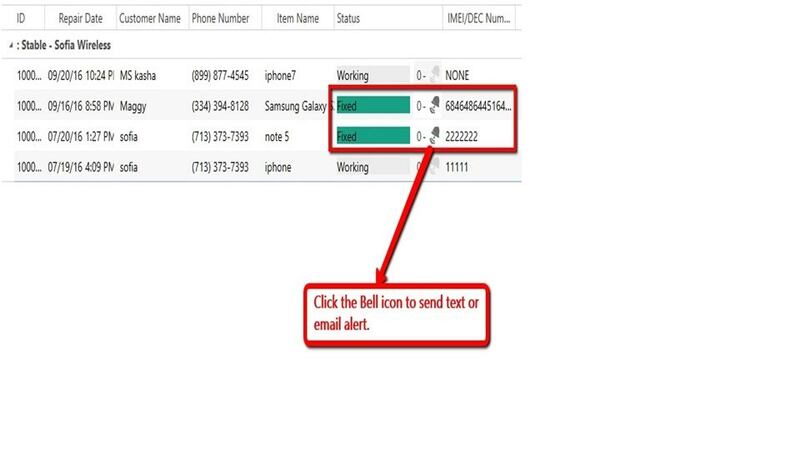 • Click on the Bell icon to send the text alert. • You have the option to send the text to the customer’s Primary number or the alternate number. • To send the text message you need to avail prepaid funds, click on the Add Fund button to add funds. • Each text will cost you 2 cents. • If you wish to send an email which will cost you nothing check the email option. • The message should be in between 150 characters. • Once done click on the send message button.